Comments: This is a highly popular cutflower that can be grown outdoors as a perennial in mild climates. The white flower, actually a bract that is a modified leaf, is very showy and lasts a very long time either cut and in the garden. Provide morning sunlight and a fertile, well drained soil for the best growing conditions, although this lily is adapted to growing in containers that are partially submerged in water. 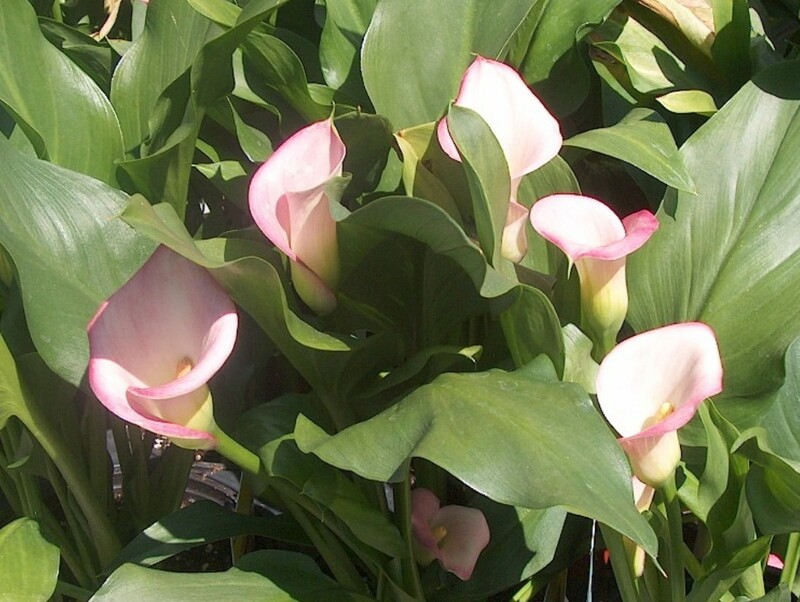 Calla lilies also grow quite well in containers as accent plants because of their large, glossy, coarse- textured, arrow-shaped foliage even when plants are not in bloom.